Bishop Dr. Kenneth W. Curry is native of Kings Mountain NC, with over 30 years involved in the writing and performing of Gospel music. He is 1st Vice Presiding Prelate of Cornerstone World Outreach Ministries, Arlington TX, as well as President & Founder of New Horizons Christian Ministries, Franklinton NC. 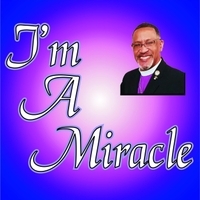 Bishop Curry is Vice President of Emmanuel Baptist University, Wilmington NC, and a 2016 recipient of the Presidential Lifetime Achievement Award from President Barack Obama. He is writer and composer of “I'm a Miracle,” a song meant to be a testimony for the heroes and survivors who, despite their odds and the derision of others, have overcome through their trust in God.